Completed AFF May 2016 so almost 3 years in the sport. By April 2017 (100 jumps) I had my C licence, Display General, Star Crest and Packer B Qualifications. 1. 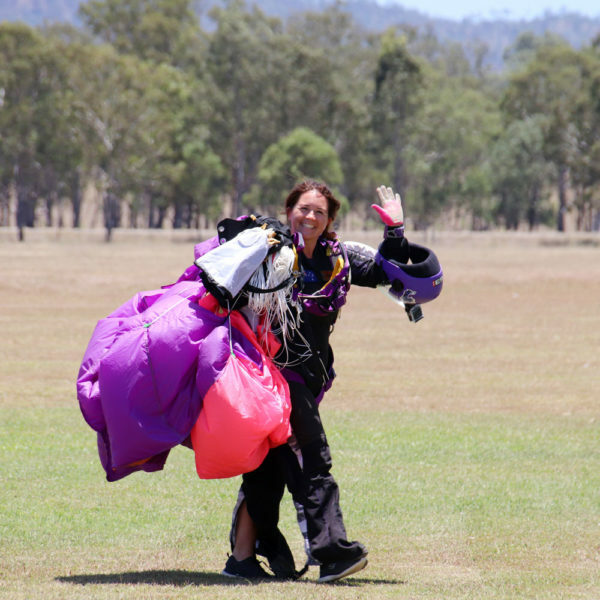 What was the main motivation for you deciding to Skydive ? At first it was a bucket list item to solo skydive, I am very goal orientated but never expected it to become part of my life so much. 2. Can you describe your major highlights or achievements ? 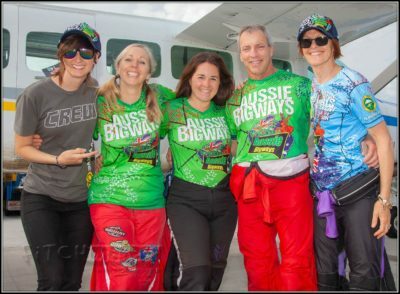 Highlights – Wingsuit rodeo with Burnsey at 2016 Equinox, my 100th jump and achievements being a bigway mentor and being a participant on the 45-way 2pt Sequential Record was nice. 3. 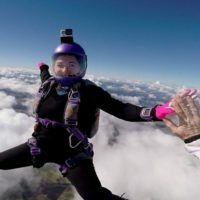 How important is Skydiving in your life ? Its a lifestyle, so its become my life not so much a part. I have found my tribe and family who I love being around being inspired by. 4. 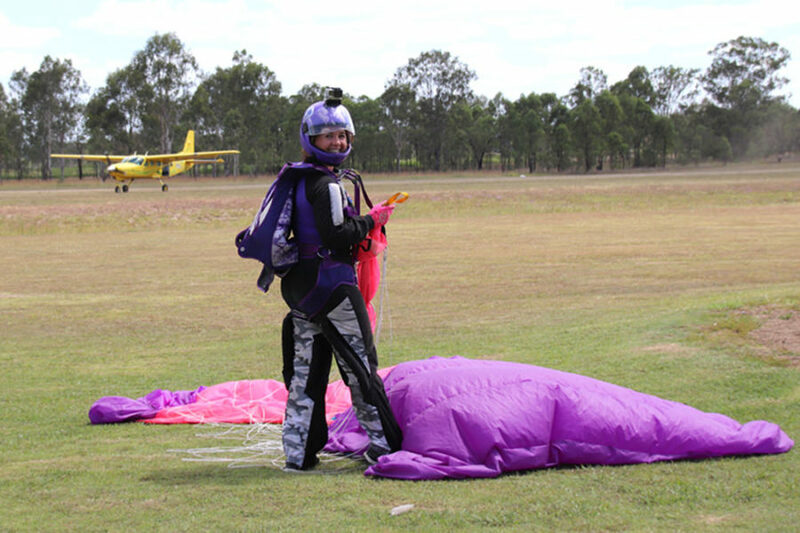 Does Skydiving help you in your work life ? As a high school teacher it was great to introduce Physics of flight and skydiving and having a tunnel excursion, the kids loved it. However, I have resigned so I have more flexibility to achieve some big goals in 2019, so sometimes its hard when boogies are on when you are teaching in term but everyone has choices. 5. 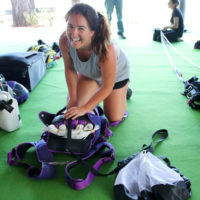 Is there a strategy / plan – to get you to your best focused state before you go Skydiving ? I am excited right from take off, it depends on the jump but in bigways i visualise with eyes closed and picture the jump and then do the same with my eyes open. 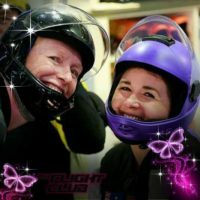 A big smile and love to all on the plane before exiting is essential, we are after all about to go skydiving, how much more fun can you get than that? 6. 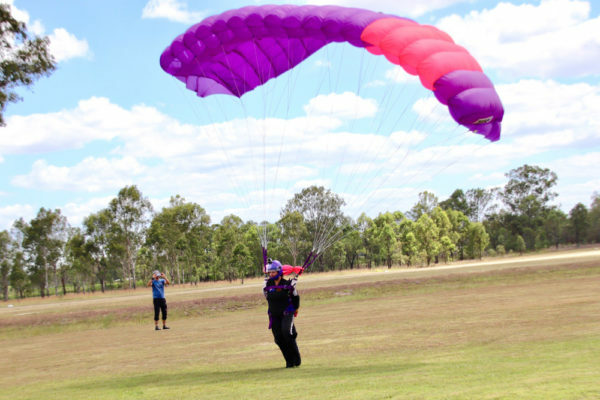 Where to next with your Skydiving ? Australian 150-way record, hopefully PowerPlay in Perris 2019 and would love to represent Australia in 4-way or 8-way one day. 7. Can you tell us what inspires you ? To always make my best my new average. I set high goals and aim to achieve them. I invest in my personal flying skills and know that what you put in is what you get out. All the Toogs folk who have shared their past experiences on records and their journey. I wouldn’t have been so focused on bigways without them. Melissa Harvie: a phenomenal woman who is not only a fantastic skydiver but so inspiring and encouraging. Not only agreat mentor and coach, she has become a team mate and true friend. Her personal flying skills are amazing and I am so blessed to have her help with my flying skills and push me on to achieve my goals and remind me also to cut myself some slack when I am too critical.